With the rapid adoption of microservice architectures (MSA), we need to re-evaluate our stance and strategies around APIs. We need to understand how APIs complement the core fundamentals of microservices. We need to understand the subtle differences between deploying APIs on a traditional SOA architecture vs an MSA. The designs for securing, controlling, and monitoring our APIs have to be rethought and adjusted to reap the core benefits of an MSA. All this has to be done without impacting the consumers of our APIs! As such, during this session Nuwan will discuss the impact of MSA on your API strategies and designs. He will talk about the possible changes in API design and deployment, API security, control and monitoring, CI/CD, and other related aspects. Nuwan works as a Director at WSO2. He is a member of the architecture team at WSO2 which spearheads the strategy and design of WSO2 products. Nuwan specializes in APIs and API Management. He spends most of his time working closely with the Engineering team in WSO2 which is responsible for the research and development of the WSO2 API Manager. 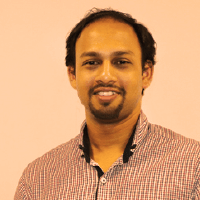 Nuwan is a member of the Open API Security Group and has spoken at numerous conferences around the world on the topics of APIs, Integration and Security.